Today's post will be my very first first impression for 2016. I didn't expect that this kind of post will receive such a good response from all SavingsPinay Readers. My most viewed blog post of all time include reviews I created for particular investment vehicle like the BPI Savings/Protection Philam Life First Impression, PNB UITF First Impression and Security Bank UITF First Impression. As always, investing your money is one way you are building a possible passive income. This will help you in the long run to not worry anymore on where to get money to maintain the lifestyle you live. You can sleep and the money will work for you. READ: How To Worry-Free Invest in the Philippines. I have long wanted to create a blog post about BDO Unit Investment Trust Fund since this another bank that's common to Filipinos. I know a lot who started their savings account at Banco de Oro and until now enjoy the service that this established bank provides. 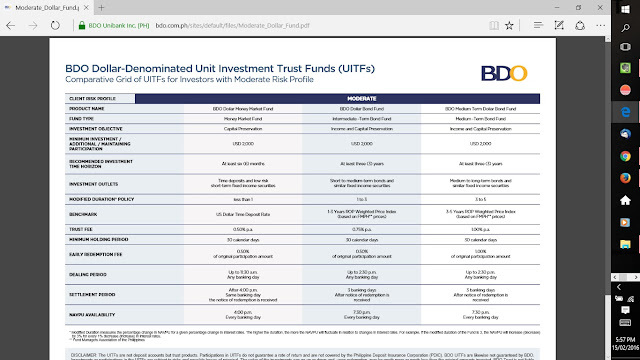 Hope you will find this first impression of the BDO Unit Investment Trust Fund helpful. It's been months since I last published anything that concerns Unit Investment Trust so I know that it will be helpful to have a quick review for a second. Unit Investment Trust Funds is another form of investment available in the Philippines where in your investments are handled with the bank. Funds from various clients with similar investment objectives are pooled together into one fund, which the trustee invests in various types of securities with the aim of maximizing returns within reasonable risk levels. How BDO Unit Investment Trust Fund works? BDO Unit Investment Trust Fund is just any UITF accounts. Your money is pooled together with the other investors money and invested in a high-yielding assets that match the portfolio you've selected. Their UITF products are divided in three main categories namely Peso Denominated UITFs and Dollar Denominated UITFs. Banco De Oro has a great track record when it comes to banking in the Philippines. It is among the top three banks today, tried and tested. Their BDO Unit Investment Trust Fund is one way they manage to give opportunities to common investor who are may be beginners or first timers to experience how investing works. Below are the benefits of BDO UITF as seen on their website. BDO UITFs allows you to choose a fund or a combination of funds that is/are well suited to your needs, financial requirements and life goals. With the BDO UITFs, your common investing concerns are addressed. By investing in a UITFs, risks are spread out across the various investments held by the pooled trust fund. While we generally recommend that you stick to your investment time horizon and stay invested in the UITFs for a longer period of time, UITFs are designed to allow you to can redeem units of participation at any time. 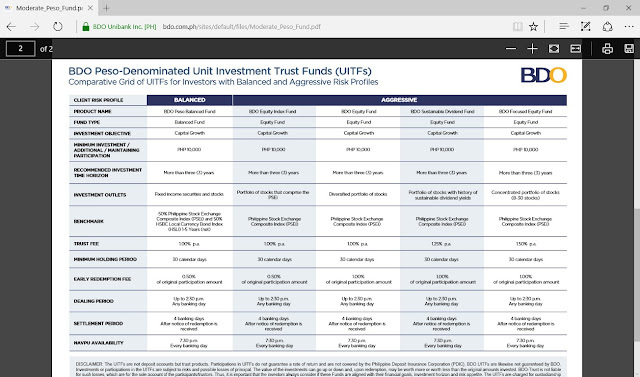 UITFs generally require a much lower minimum investment amount compared to other investment alternatives. Greater earnings potential is achieved without having to invest large sums of money. There are opportunities for potentially higher returns due to possible marked-to-market gains on top of accrued income from investments. UITFs provide access to financial instruments not readily available to retail investors. UITFs are not subject to reserve requirements imposed on bank deposits. Thus, your funds earning potentials are maximized. Participating in the UITFs allows you to gain access to the expertise and services of seasoned fund managers who are able to actively monitor the markets for possible investment opportunities and managed the risks for you. 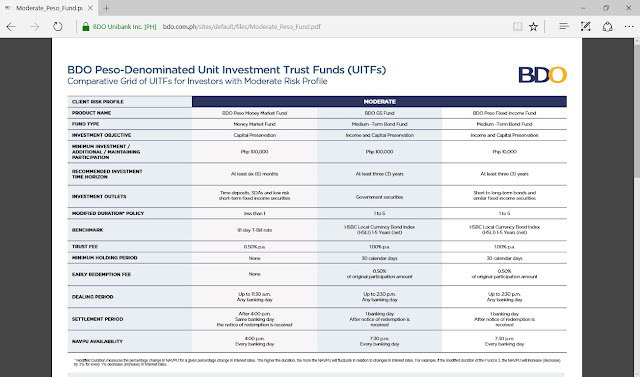 Trust entities are required to publish the UITF price at least weekly, allowing investors to compare investment performance of various fund managers. The management and administration of UITFs by Trust entities are governed by the Bangko Sentral ng Pilipinas (BSP). Thus, aside from the yearly triple audit conducted to BDO Trust, each of its UITF is subject to a separate annual audit by an independent auditor that is acceptable to the BSP. The results of such audit may be made available upon your request. In addition, each UITF is required to have a BSP accredited third party custodian, who is tasked with safekeeping the securities of the UITF and performing independent marking-to-market of such securities. All these safeguards redound to the protection of the UITF investors. 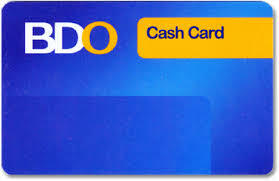 BDO is a reliable bank, almost as always on the top choice for Filipinos. I believe it is BDO where I opened my first savings account. They have an online banking counterpart which is great for convenience of its customers. They have wide range of choices when it comes to UITF you can invest and people will surely find their perfect match. This is nice specially if you want to trace how your fund performs but have limited time. You can have your own portal to see the fund performance, your gains or your lose and more. BDO is known to many and has been serving for years already. They have branches inside malls which is pretty much convenient. I also think, based on my personal opinion, that they have the one of the most approachable tellers. Never have I visited a BDO branch where the teller has an attitude. BDO's UITF products are great possible option if you are just starting to invest. You will be guided accordingly on how you want to make your money grow. Diversification is the key here and BDO offers that to its customers. I was surprised to see that some of BDO's UITFs NAVPU are performing well in the market. There's a great chance for your money to grow even in short period of time. My top choice to invest will be the BDO Focused Equity Fund, BDO Peso Equity Fund and the Peso Sustainable Dividend Fund. Unlike my FAMI Mutual Fund which is 5,000pesos only for the initial investment, BDO requires 10,000pesos. Let's face it saving 10,000pesos is not that easy. 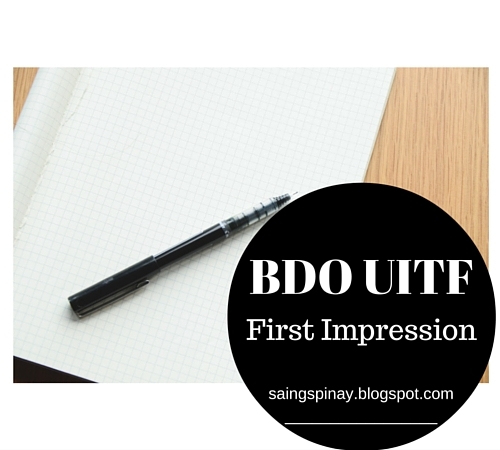 I hope that this BDO UITF First Impression post helped you decide as you make a big move in terms of your finances. Note that I am not affiliated with BDO and in any bank or financial product that I create a first impression with unless otherwise stated. The BDO UITF is a good option for beginners. Just make sure that you have already established a good savings for as well all know, investing is a risk. 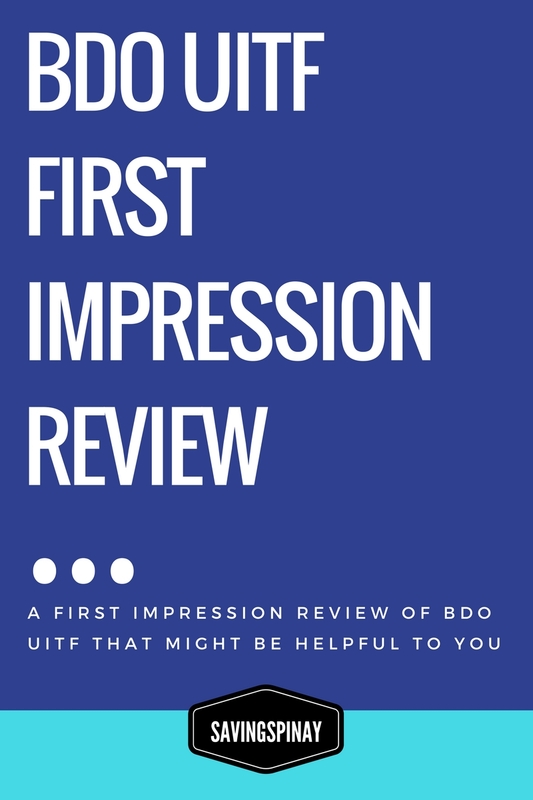 3 comments on "BDO UITF First impression"
They already have the EIP minimum of 1k. I have one for 1k monthly that automatically deducts from my savings account. I just want to know how often should I add money on my uitf? Monthly? Do Is it REQUIRED to deposit/add money to your uitf regularly? Or anytime I wanted to? I just want to know how often should I add money on my uitf? Monthly? Is it REQUIRED to deposit/add money to your uitf regularly? Or anytime I wanted to?